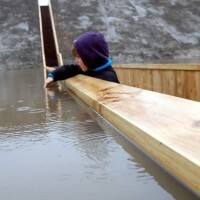 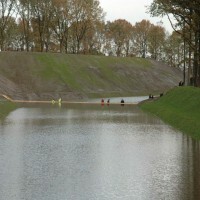 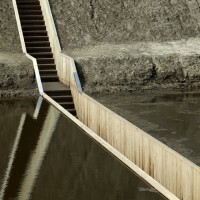 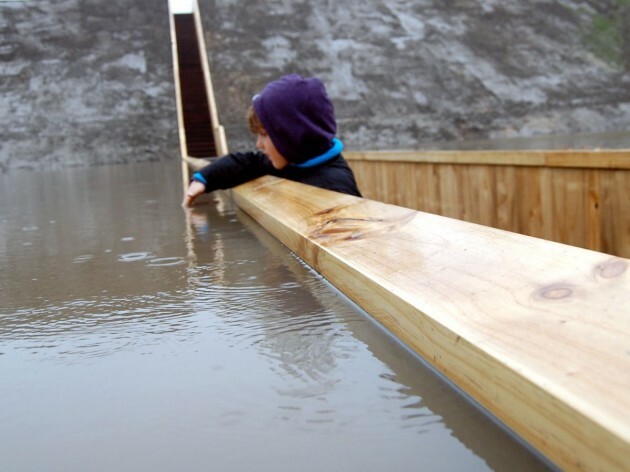 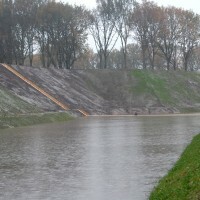 Ro&Ad Architects designed the Trench Bridge at Fort de Roovere in Halsteren, The Netherlands. 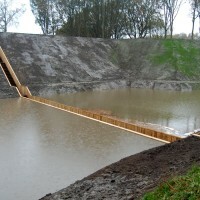 A bridge was needed to be built to allow visitors to cross over the moat of this historical attraction, but the architects found it strange to create a bridge over the canal of a defensive fortification, especially because the bridge needed to be built on the side where traditionally the enemy was expected. 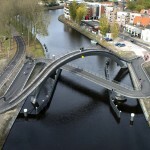 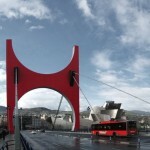 Therefore, the architects created a bridge that from a distance is invisible, and has less impact on the historical nature of the fortress than a typical bridge would. 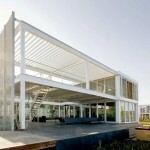 Visit the Ro&Ad Architects website – here.